The new taper bowl locking and motionsystem is technically superior to the traditional systems as it utilizes a taper coupling to join the machine and the trolley. The trolley is locked by means of a tapershaft that, as it ascends, centres the bowland moves it into the working position. The hydraulically controlled cone engages under the bowl, maintains constant pressure during use and eliminates any possibility of slippage or wear. 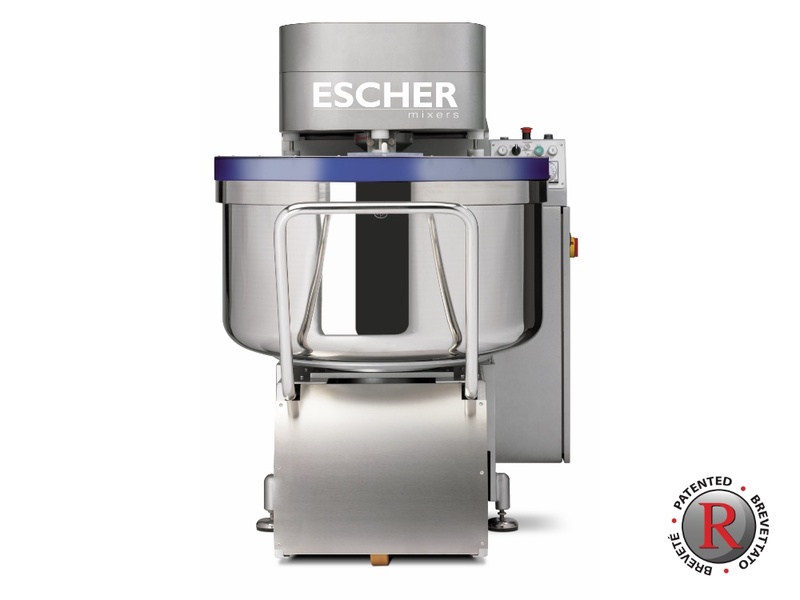 The taper shaft gives rotating motion to the bowl and guarantees a constant number of bowl revolutions there by increasing the dough quality and machine performance. The motion system is noiseless and free of mechanical play.